On his day off, Chris managed an above average wild Chattahoochee brown trout. Image courtesy of Chris Scalley. Atlanta’s current mayor, Keisha Lance Bottoms, understands that a clean, trout-rich Chattahoochee River is an asset just like the city’s NFL football Falcons, MLB baseball Braves, NBA Hawks, transportation, medical facilities, and educational institutions both public and private. 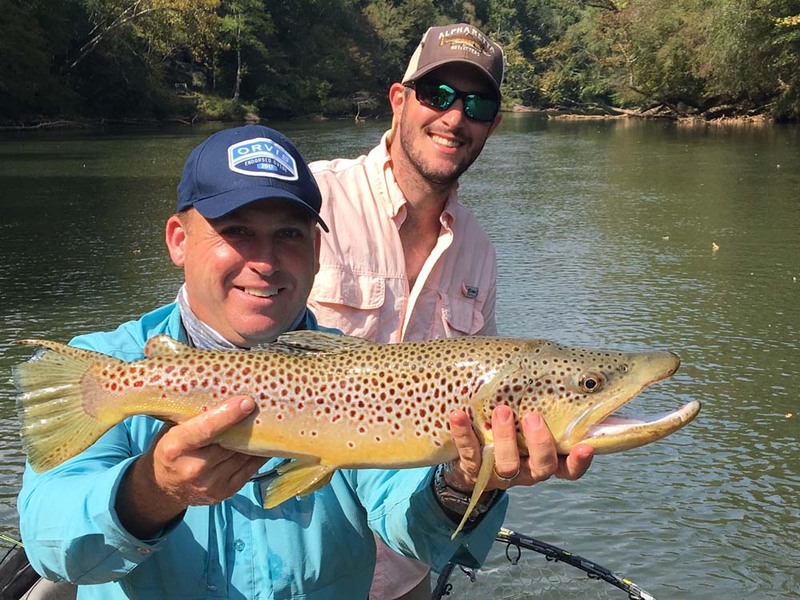 Atlanta has always been a great place to live and a destination for the sharpest tacks in Southland’s treasure box, and that it is a world-class trout fishing destination. A handful of Chris Scalley’s 2017 River Through Atlanta fans. Photo courtesy of Chris Scalley. NOTE: What is the common thread here? Oddly, there is only one home based destination service to take care of the busy types that keep our economy running at high speed. That would be our nations corporate executives. In Atlanta, one or a few days can mean a fly fishing trip worth remembering – a hassle-free float on the spectacular Chattahoochee River. A busy corporate executive WILL NOT waste time on the phone chasing down everything needed for a successful few days trout fishing experience when he or she does not have to labor in that department. Being successful means knowing it is the details that make all “plans” work – deciders turn to professionals to get the details worked out. 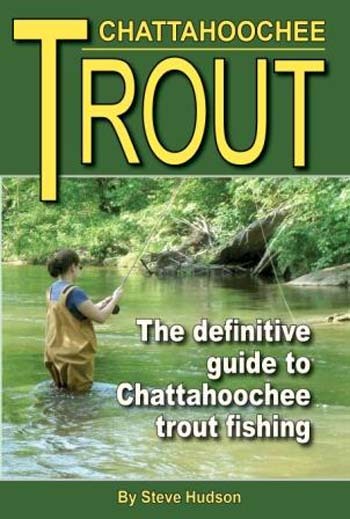 So, if uncovering an excellent guide (several fly fishing guides know the Chattahoochee River well) is not what you want to undertake. If finding accommodations near the fishing, chancing upon a restaurant, locating a fly shop to fill in what you do not have or tracking down a “never been there before” river launch site in the dark isn’t what a fly fishing day is all about for you. Try making one phone call and having ALL your wants taken care of with a swipe. Also, a corporate president or executive level business traveler will not lug destination fly fishing baggage through airports just to “maybe” fish for a few days – even it’s a planned outing. But they’d be okay with packing seasonably suitable outdoor clothes and probably do so as a matter of habit. Why is the Chattahoochee River world-class trout water? The Chattahoochee has always been good trout water, but since 1970 it’s been almost manically protected. The Chattahoochee River National Recreation Area borders 48 miles of the river and riparian laws throughout the river system are strict and code enforced – even if you own a palazzo on the river. Although state laws protect the river, enforcement and performance standards are governed locally, (city or county). You cannot build within 25-feet of a stream or 50-feet of a trout stream, but most cities and counties make everything 75-feet to avoid lawyering issues if there is a breach. Demolition or new construction within 1900-feet of the Chattahoochee River requires a permit which includes escapement barriers. In Atlanta, there’s a 21-mile long rainwater catch that’s 30-feet in diameter. It’s separate from sewage collection. You can avoid all the issues mentioned above if you own both sides of any waterway, but if there’s inflow or outflow on your property, all state laws are in effect. You can have a stand-alone pond or lake. There are also dot org and state monitoring agencies that keep a vigilant eye on things. One such dot org is Chattahoochee River Keeper. So, just how do you go about making a world class trout fishing experience happen seamlessly in the city of Atlanta? 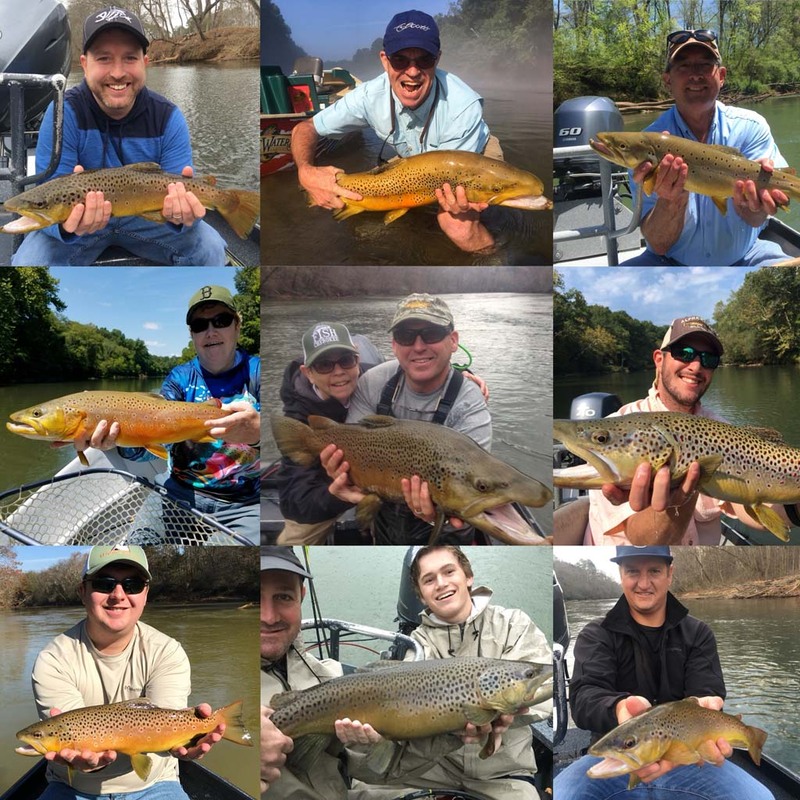 First and last, who is Chris Scalley and why is River Through Atlanta providing “destination” trout fishing services in the metro area of Atlanta? Fly Life Magazine.com: Chris, you’ve been guiding just about a quarter century on the Hootch. Has it changed since you began guiding? Chris Scalley – River Through Atlanta: Not really, it’s always been a terrific trout river. There is just a lot more input now, more science, more fly fishers, and the river is a robust trout fishery of a world class nature. FLM: Well, that settles that. What could I expect from your Orvis endorsed guide service company if I was on a business trip to Atlanta from, say Pittsburgh, Pennsylvania, and I unexpectedly had few days to fish with you? I have no gear, only some seasonally appropriate outdoor clothes? CS – RTA: No gear required. We have everything except a fishing license. You need one. A three-day fishing license and trout stamp can be purchased the night before at 1-800-366-2661 or go to Go Fish Georgia. FLM: What if it’s two clients and only one knows how to fly fish, or both don’t? CS – RTA: Not a problem. We are used to newcomers. We have top shelf spinning gear. We also have everything for the fly fisher – you don’t need to bring anything. Our gear, flies, lures and all equipment is not just good; it’s excellent as are our guides. FLM: What about waders, and wading boots? CS- RTA: They don’t need them either, but if they want we can arrange for them to rent. We fish out of various types of drift boat-like skiffs. FLM: Okay, I check out of my downtown Atlanta hotel, or I’m at the airport – now what? CS- RTA: Not a problem. From hotel Uber yourself to MARTA (train). You’re at MARTA in the airport. Call us, and we can pick you up at the North Springs stop for around $100 and ferry you to one of two hotels near where we fish. If you’re not right in the city but at a hotel near GA 400 or the I-285 perimeters, pick up there is extra. Atlanta is well known for excellent roads and traffic jams. Leave the driving to us is a good idea. FLM: So, you picked me up at Marta for $100. Now what? CS: We’ve been at this for a while. We’ve sussed out all the best accommodations – comfortable with decent food and near us and the river for easy pickup. One is a Courtyard and the other a Doubletree. We do not offer discounts – we do not want to nor do we get a referral fee. We can better choose that way. FLM: What is the guiding cost and what’s included? CS – RTA: A half day is four hours – $300.00. A full day is eight hours – $425. We provide snacks, drinks, and lunches. On half days lunch is not included, but we can add meals for additional costs. We limit two guests per boat. Tips are the clients call. Click on rainbow trout and visit Thom Glace’s studio. The Chattahoochee rainbows are heavily stocked with plenty of big carryovers. The browns are almost all “big” – wild and self sustaining. FLM: Are all trips the same? CS – RTA: No, not even most of the time. We access almost 50 miles of the Hootch. Also, making our Hootch more distinguishable than any “city” river is that we will not have a bankable plan like “when and where” until the evening before the trip. The hootch is a tailwater river governed by Lake Lanier’s Corp of Engineers’ releases and feeder stream runoff, which affects fishing all the way through Atlanta. We need to know the latest river/weather conditions for your best experience. FLM: Any other thoughts for potential guests? CS – RTA: Yes, we need to know in advance about time constraints or preferences, so we can try to work around those requirements. However, we do not influence Mother Nature so trips can cancel due to inclement river/weather conditions. It’s a safety precaution as well. Serendipitously, there is a brand new book out by Steve Hudson, regionally the best-known outdoor author and recognized fly angling expert with an attachment to the Chattahoochee River so intense, it’s like Jim Harrison’s character Thad in The River Swimmer – he lives and breathes the river. Hudson’s book is a must read even if you’ve been to the Hootch many times before. Hudson’s books never make it to your library; they stay in the front seat of the truck, car or RV. The Angling Bookstore. . .
Chattahoochee Media . . .